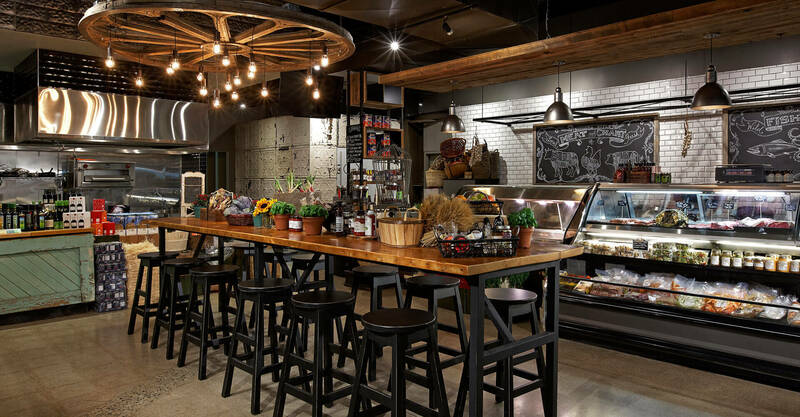 Hot off the launch of their latest restaurant, Tavolo, the Catch Hospitality group approached us to help them to realize an expression of how they eat – and shop – in Oakville, Ontario. 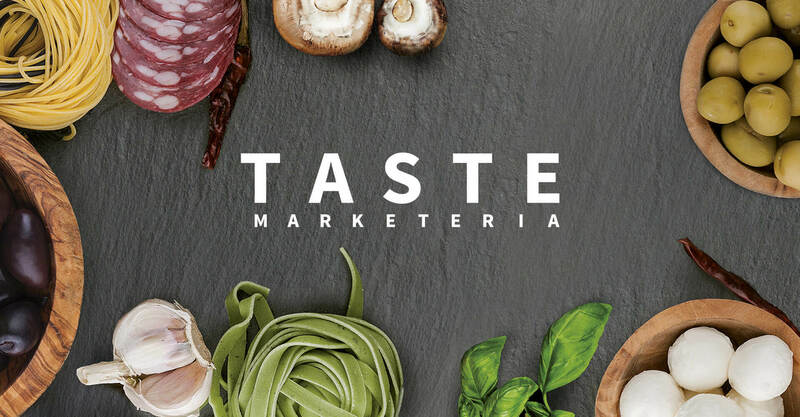 Determined to change their customers’ approach to everyday grocery shopping, they imagined TASTE MARKETERIA as a boutique-style shopping experience, featuring the finest fresh, local, and gourmet food items, selected by their own chefs. The challenge for us was how to create a space flexible enough to be both grocery market and sometimes restaurant, and occasionally a classroom. To top it off, we had to be flexible enough to accommodate the owner’s love for found and reclaimed items, to find homes for the unique materials and items he would bring to us along the way. 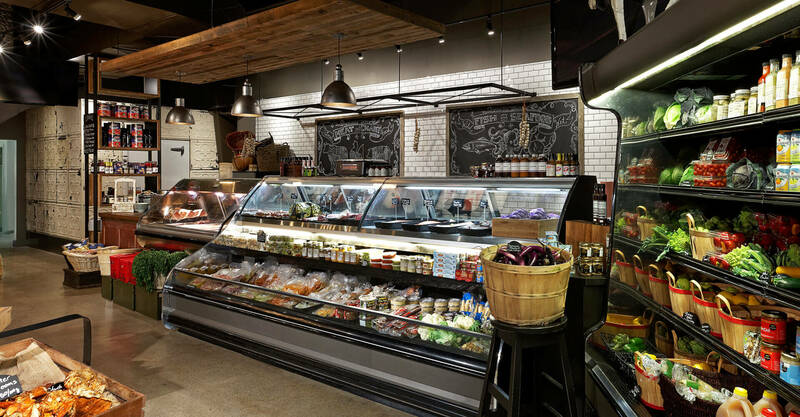 In the end, we couldn’t be happier with the way TASTE MARKETERIA has upped the ante on the grocery experience in the Bronte Creek area. 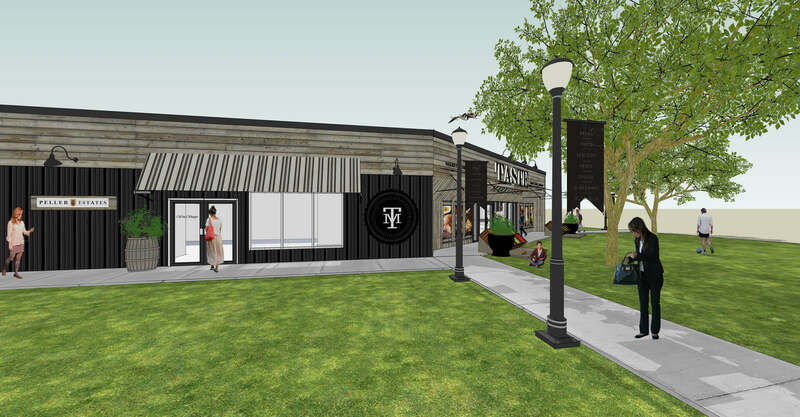 The TASTE MARKETERIA concept was born out of a love for all things food. The Catch Hospitality Group owns and operates 5 restaurants in the area, and wanted to give their customers a shopping experience that was aligned with the experiences they’d come to appreciate in their restaurants. Catch wanted to reinvent the restaurant stockroom, opening it up to their guests to give them access to the same restaurant-quality items and fresh, local and premium imported ingredients that their chefs use, in an environment that would change people’s perceptions of the grocery shopping experience. 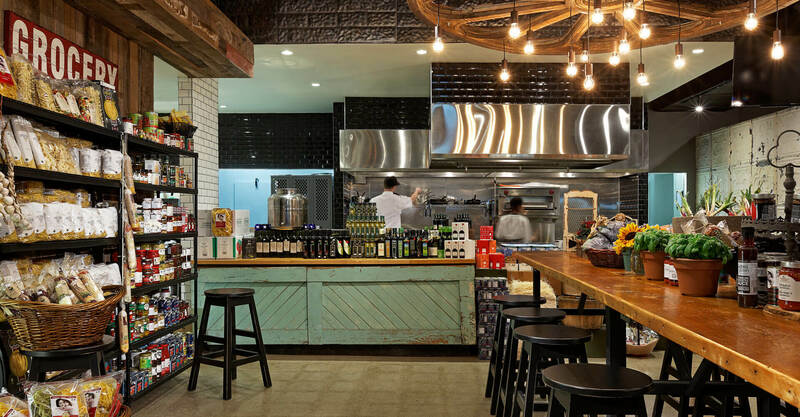 An open kitchen allows them to feature one of their chefs weekly in a neutral environment, breaking down the kitchen wall and inviting guests in to get to know the people behind the restaurants. A long harvest table encourages product trial, and gives cooking classes a place to sample their creations. The kitchen also serves their catering business, expanding their ability to serve the area and extend the Catch Hospitality Group brand. Features like the olive oil tasting bar at the back of the space are unique and create special moments throughout the environment. A love for food is evident throughout; fresh breads, specialty meat cuts, and fine seafood are all on display. 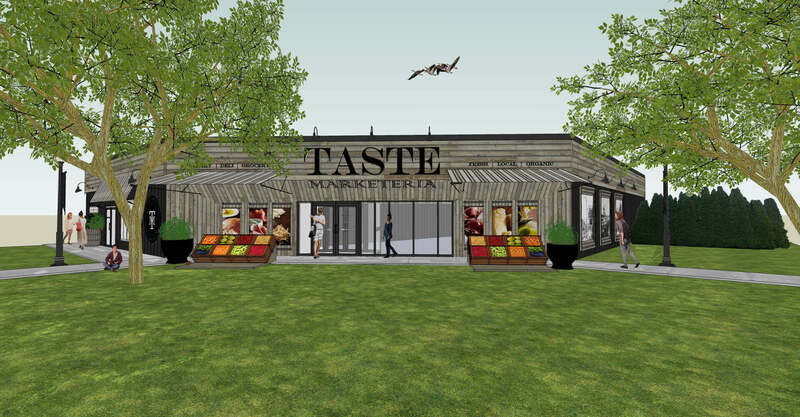 TASTE is a showcase of fine food that you simply can’t find elsewhere, but at the same time you can find almost everything you’d need, from specialty canned goods, to local produce. 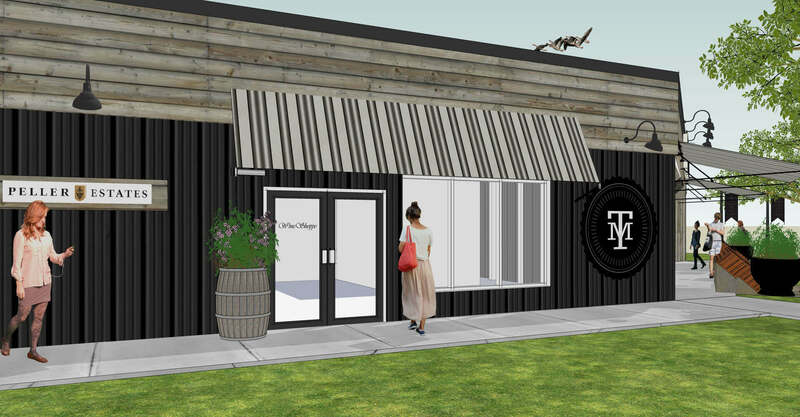 The entire place is licensed, so guests can enjoy a glass of wine while they shop. TASTE is anything BUT your local grocery store. The community-oriented space is a combination of new and old. The owner’s love for antiques, found goods, and repurposing old items is apparent, and one of our challenges was to find ways to incorporate the unique pieces he would bring to us throughout the design process. 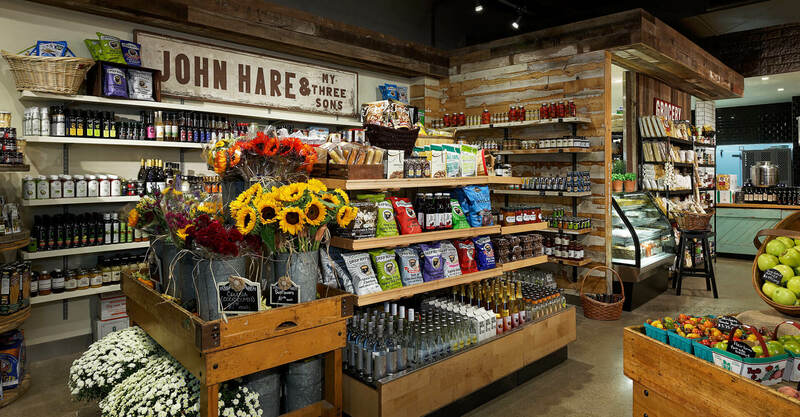 An old counter from a drugstore in North Carolina was repurposed to become the checkout counter, and a wagon wheel became a dominant lighting feature over the harvest table. Old electrical spools are featured display areas, and the cooler was clad with old tin ceiling tiles, to give it an old, established feel. 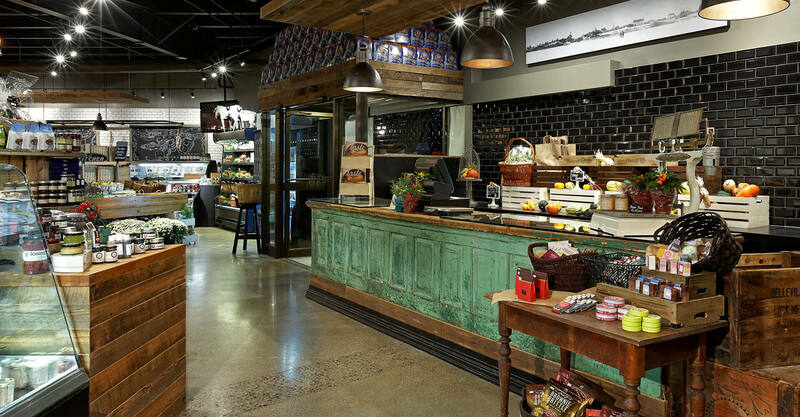 Subway tiles behind the counter are a nod to French gourmet cooking, and reclaimed pressed tin tiles line the walls, hiding the utilitarian nature of the space. Concrete floors from the old fitness facility were polished, the structural ceiling was painted and left exposed, and reclaimed woods were restored to bring out their natural aged beauty. With all of the rustic charm of the old, reclaimed items, many of the materials and pieces in the space are new, so it was important that we choose our materials carefully and make new elements feel old and reclaimed. The harmony between old and new in TASTE MARKETERIA is the hallmark of our design. 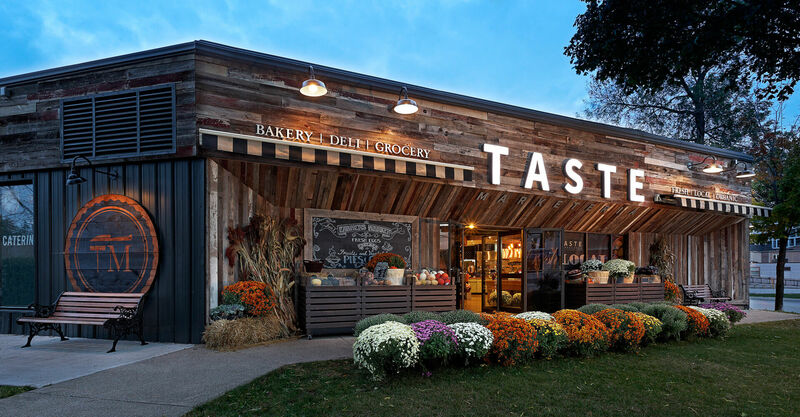 TASTE MARKETERIA opened in September, 2015, and has very quickly become a destination marketplace in Bronte Creek. It won a Silver in the Supermarket/Grocery Store category at the Association of Retail Environments (A.R.E.) Awards in 2016.